In case you haven’t noticed Brits are famous for a certain kind of humour [British spelling] … err … okay, off the wall stuff. Our regular contributor, G, sent in this story about Two Old Dears. It’s in screenplay format as G sent it. He used to write screenplays and has had some of them accepted in the past. One of the other thing you need to know about G is that even if he is an American he totally digs the Brit sense of humour, having lived in the UK. 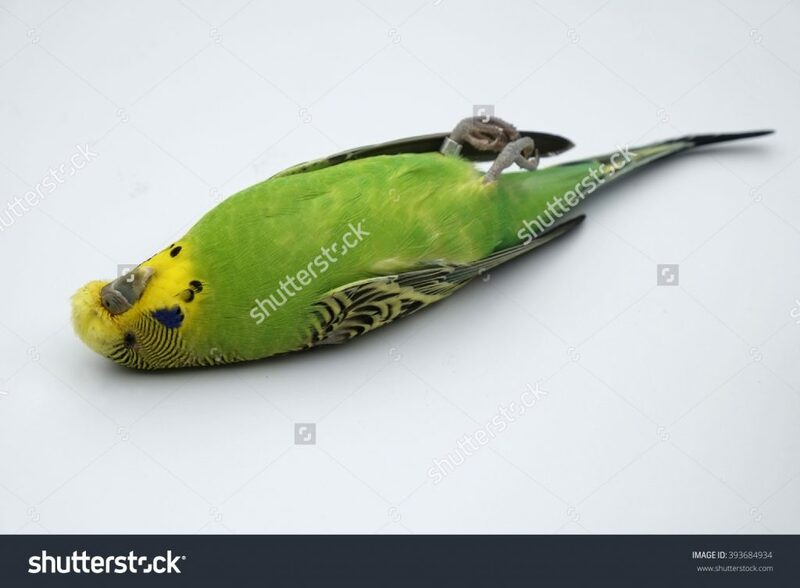 I could not resist the photo of the “dead budgie.” It’s so “dead parrot” from one of Monty Python’s funniest sketches. An OLD DEAR sits at table, pot of tea, sips cup of tea, she looks at cup, puts it down. Ah, very nice, very nice indeed. 2ND OLD DEAR comes in opposite side of her, both forearms in bandages, leans forward. Nothing like a good glass of wine, hey, Dear One? You’re right there Dear Heart, but this tea . . .
A very nice Earl Grey, you know. 2nd Dear picks up cup, sips, smiles, puts it down, sits. Quite right you are, and a very fine one at that. WAITER enters, 2nd Dear points to cup, Waiter nods, exits. Who’d thought thirty years ago we’d be sitting here drinking such a fine tea as Earl Grey? 1st Old Dear smiles nods. 2nd Old dear nods in unison. Waiter returns with tea, places it in front of 2nd Dear. 1st Old Dear leans forward. 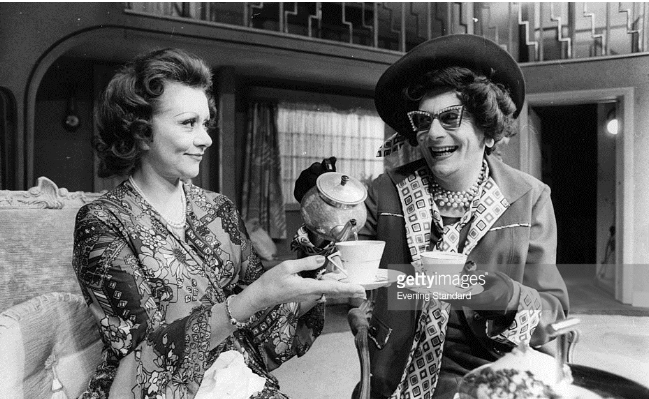 Aye, in those days we’d be drinking some foreign wine… Not a lovely fine English tea such as this. 1st, 2nd Old Dear raise cups to each other, drink. Yes, a nice chilled dry white French wine from Alsace… Vin De Qualite. Aye, or a velvety and subtle Bordeaux. Both look at their cups, sip from them, then nod in unison. Or in such elegant cups – – did you notice the fine gold edging? 2nd Dear runs her finger over the edge, smiles. We never had such elegant cups when we were young. the red’s bold aroma to spread out and release its full flavor. 1st Dear rolls her eyes. cooler longer for the whites. They both pick up their cups, sip, sigh. Washing the glasses in hot water only, so the soap residue didn’t build up and spoil the flavor. They both sip their teas, sigh, nod in unison. 1st Dear leans forward to 2nd Dear. You were late today my Dear One, everything all right? Oh, yes now that is, it took me four hours to bury the cat, you know. 1st Dear leans forward, pats 2nd Dear on the arm. Sorry to hear that she died. 2nd Dear shakes her head, gently rubs her bandaged arms. Oh, no she wasn’t dead. She wouldn’t hold still. 1st Dear sips her tea, smiles, puts tea down. Oh, yes, quite right, wouldn’t want to come home from Brighton to find a dead cat, now would we? No, no, just wouldn’t do. Both shake their heads in unison. 2nd Old Dear sips her tea, puts it down. Been thinking about getting a budgie when I get back. 1st Old Dear nods her head. Yes, yes, I understand they’re much easier to bury. 2nd Old Dear shakes her head. Oh, no need to bury them, Mrs Shufflebottom flushes hers down the loo. 1st Old Dear shakes her head looks worried. No, no I wouldn’t do that if I were you. You see they breed in the sewers. 2nd Dear looks up to the right. Hmmmm, never thought of that, that could be dangerous… what with all those blind albino budgies squinnying about. Aye, never know where they might turn up. Both sip their teas, nod their heads in unison. Love British humour. 🙂 Favorite British comedies: Fawlty Towers and Are You Being Served? Thank you for sharing! I love this and could picture it in all aspects. I’d never seen a picture of Dame Edna without the signature pink hair. Far less flamboyant back in the day! Hi Carol, I am pleased you enjoyed it. Yes, I am well my friend 🙂 Things sound good with you and yours too! Thank you for posting this, and another thank you to those who let me know they enjoyed it. I have been a big fan of British humor and drama since 1975. I was a teacher at a university and on Sunday nights after my son and wife were in bed I’d grade papers or prepare my lesson plans for the week. A local PBS TV channel would air the following starting at 8pm – Dr. Who, Dad’s Army, Fawlty Towers, Are You Being Served, Monty Python’s Flying Circus and to finish off, early in the morning, I, Claudius. Needless, to say I happily dragged myself to work. I soon found out that when I mentioned the line-up to my students or co-workers there were not many that appreciated British humor. Ha, plebeians! – what do they know! When I moved to the UK I found the wonderful sense of humor was endemic. My first encounter with an NHS GP was hilarious. After my office visit, he walked me to the front. He put his arm around my shoulder and announced to the other patients and staff – “I want you all to welcome Mr. G. This is a very special occasion for him and us. You see Mr. G is an American who has come to live here with us.” There were polite applauses. Then he turned to the others in a conspiratory way, “We’ve got one of the colonialists, back.” LOL, I nearly split a gut laughing. I love the fact that Americans get British humour, sometimes our humour does not travel that well with many of our comedies dying a death over there. A good point was made when the author said he lived here for a while and saw at first hand that this kind of humour is everywhere. 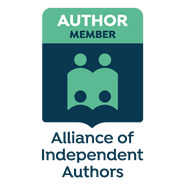 The British come in all shapes so the platform is set – class upon class, people.of a certain class believing they belong to a higher class – it is a rich vein for writers so long as they don’t get into that dreadful habit of stereotyping. As Steve was saying Fawlty Towers is a masterful piece of work – who can not find humour in Basil Fawlty? Each to his own of course – but it is very pleasing to hear that our American friends “get” us Brits in the comedic stakes.